August 26 is Women’s Equality Day, which celebrates women getting the right to vote. This right was granted by the 19th Amendment to the US Constitution. 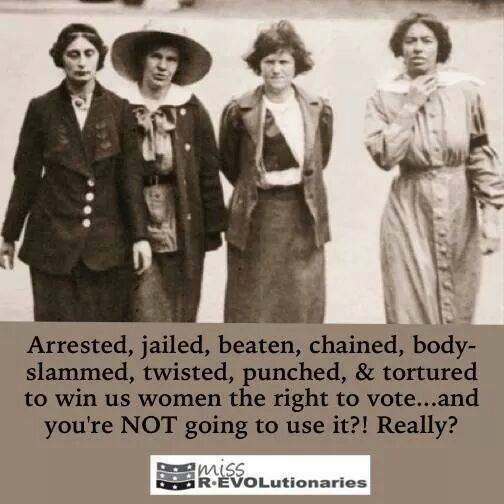 It is shocking to realize that American women didn’t win the right to vote until 1920. 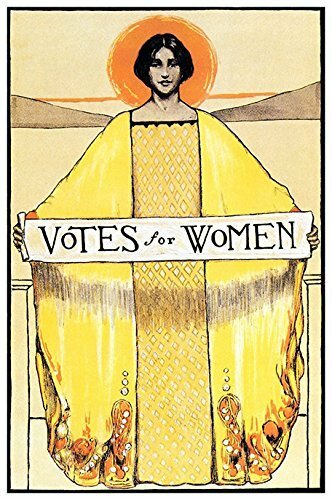 Read more about Women’s Equality Day in Women’s Equality Day History – Right to Vote Not Enough. 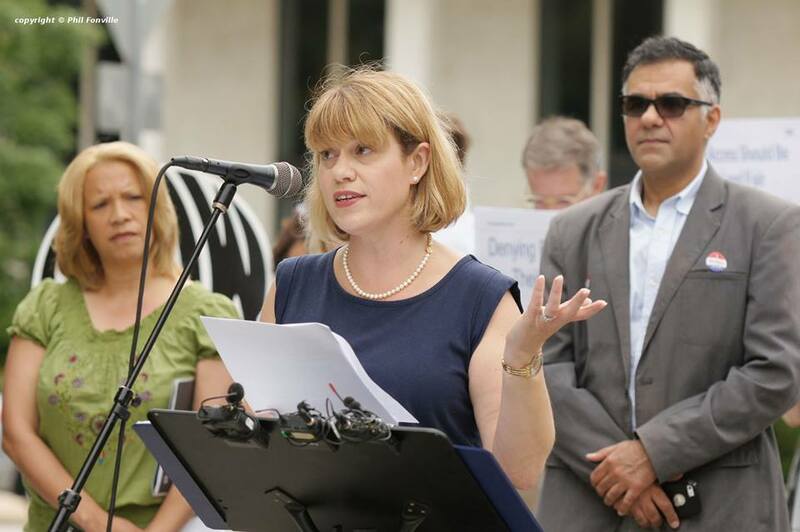 This year again, women have planned Women’s Equality Day events around the state. Here are some. Celebrating the Voices and Victories of the past as we continue to unite women and “March on the Polls” this election season! Recognizing the urgency and importance of this year’s elections, we gather to celebrate women’s hard-won right to vote and take action to make sure we use that right in November to support women’s rights! 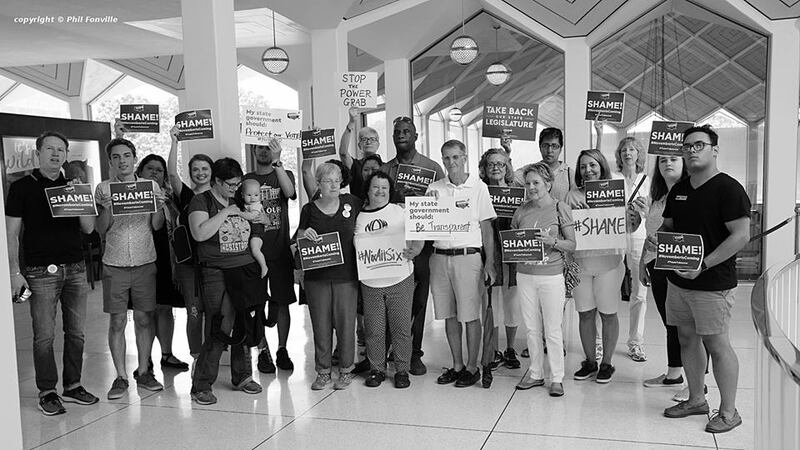 Citizens are OUTRAGED at the latest power grab by the #ncga leadership. The#NCGA leadership called a special session on 7/23/18 to take place on 7/24/18 to usurp the job of a real commission to write captions for the 6 constitutional amendments that they put on the ballot! Just the captions! An activist friend provided honest captions they should use! 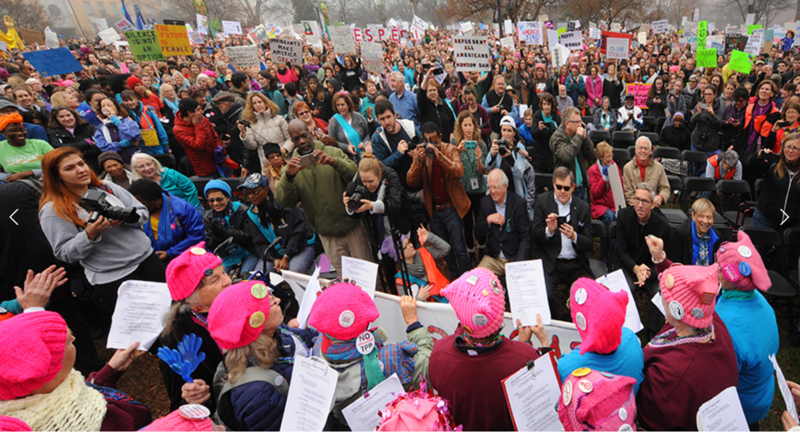 Outraged citizens were there to greet the NCGA, including NC NOW members, women, young people, and moms with children and babies. 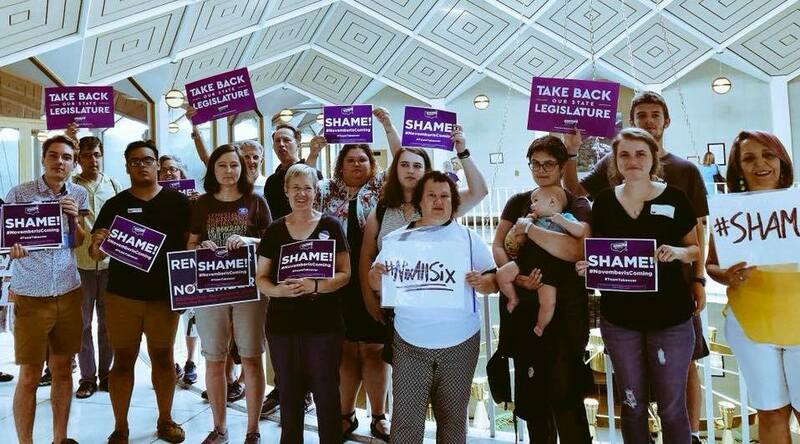 We held signs like #SHAME, #NixAllSix, Vote Them Out! No More Monkey Business (and a barrel of monkeys)! This is the beginning of NC NOW’s 6th legislative update for the 2018 Short Session. The whole update includes summaries on constitutional amendments, further restrictions on early voting, and judicial redistricting, as well as ERA actions and bill tracking. The legislative updates are written by NC NOW VP of Legislation, Robin Davis. Here is the beginning of the summary of the NC NOW Legislative Update #5. Click North_Carolina_NOW_Legislative_Update_5.17_June_2018 to read the whole update. Other topics include Restrictions on Early Voting, Medicaid Expansion, ERA (including action to take on ERA), and Judicial Redistricting. http://www.newsobserver.com/news/politics-government/article213240389.html, News and Observer, 6/15/18. NOW PAC is endorsing in four Congressional races for NC’s 2018 primary. The NC NOW PAC continues endorsements from previous years, unless there has been a problem, as with votes against our issues and interests. More interviews and endorsements will be done after the primary on 5/8/18. All legislative seats (NC House and NC Senate) are up for grabs in 2018! Read more about 2018 elections in 2018 election news. 2018 Election News – All Seats Up For Grabs! 2018 will be an interesting year in North Carolina because all legislative seats are up for election. There is a lot of excitement around being able to vote, in part due to backlash against the Trump administration and its policies, in part due to the will to make change thanks to the #metoo movement, recognition of the reinforced need for #gunsafety thanks to students in Parkland FL, exposure of racial violence and unfairness via #BlackLivesMatter and the inspiration of the #WomensMarches. Although the voter registration for the May 8 primary ends Friday, April 13, 2018, same day on site voter registration is allowed during early voting (but not on May 8). So if you are not registered to vote yet – you must vote early and bring the right materials with you to register on-site. As you may remember, same-day registration and provisional ballots had been thrown out in 2013 when the Republican-controlled legislature rewrote voting rules, but were restored by the courts in 2014. But they have been back in play since late 2014. People are gearing up for elections in NC as elsewhere in the country, where less conservative to truly progressive candidates have been winning. My favorite story is from the surprise midterm election in Virginia on Nov 7, 2017, where Danica Roem of Virginia got to be the first openly transgender person elected and seated in a U.S. statehouse, Washington Post. 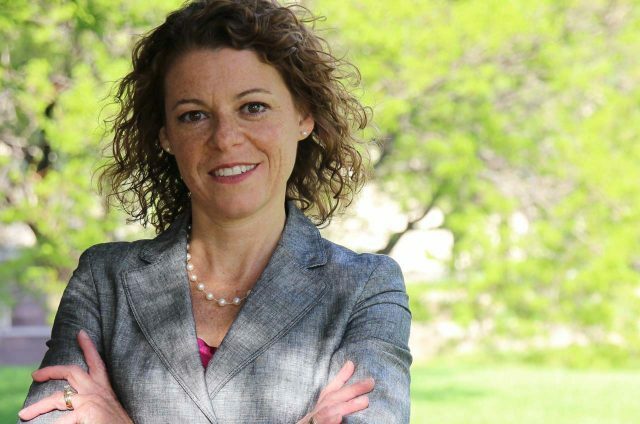 In 2018, I was thrilled to see a female judge win a hotly contested state Supreme Court seat in Wisconsin, Washington Post, 4/4/18. Here are some facts about the 2018 election in North Carolina where all legislative seats are up for grabs, according to Ballotpedia on NC Senate, and Ballotpedia on NC House. 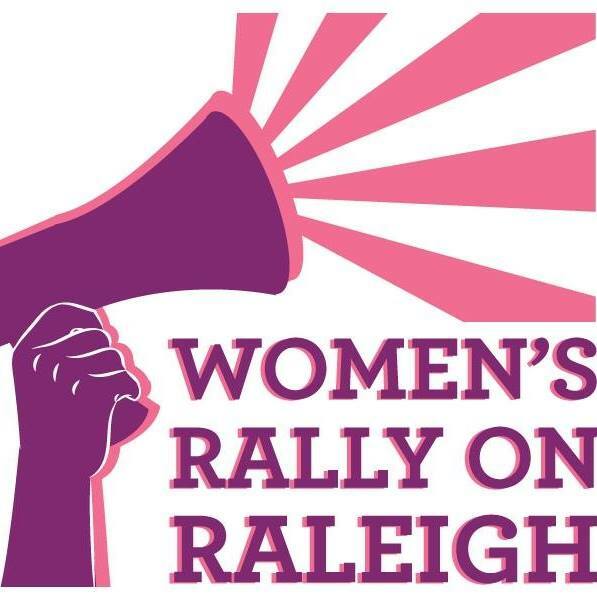 Raleigh – Women’s Rally On Raleigh, 9-1, Raleigh NC. Theme is “Women Leading The Resistance.” This is a rally, not a march. Wilmington may be doing something in March. Will add more as we learn about them. 13 marches were documented around NC on 1/21/2017 by Yevonne Brannon! Vote! You have the power of 10! 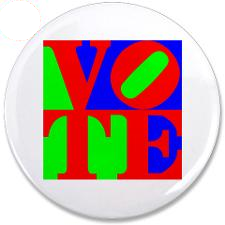 Be sure to vote in this municipal election, where you have the most say! Charlotte did their primary in September, and only 8.73% of voters voted (which is appalling). So you may say that each of those votes counted more than 11 times. Voter turnout may be low in Wake Co, too. Raleigh and Cary vote on Oct 10, 2017. So if it’s 10% turnout, your vote may count 10 times over! People across NC can look up their voting sites, voting history and ballot at https://vt.ncsbe.gov/RegLkup/. People can look up friends and family who live in NC too. Early voting is now. In Wake County, early voting started on Sept 21 only at the Wake County Board of Elections Office at 337 S. Salisbury St in Raleigh. This site is open at 8:30am to 5pm from Monday to Friday this week (Oct 2 to Oct 6) and from 10am to 1pm on Saturday, Oct 7.